Hero MotoCorp, Bajaj Auto, M&M and Tata Motors were the major winners. 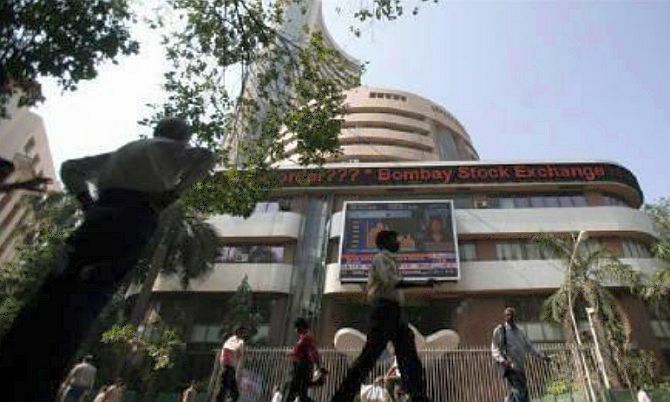 Markets remained in better form for the second straight session on Friday, with the Sensex closing over 147 points higher as auto shares zoomed on sustained buying by domestic institutional investors amid the rupee staging a recovery. The rupee was trading higher by 29 paise at 71.70 (intra-day) against the dollar at the forex market. The domestic unit had hit a fresh life-time low of 72.11 before settling at 71.99 Thursday. Trading sentiment got a massive lift following the government's decision to exempt electric vehicles (EVs) and automobiles run on alternative fuels from permit requirements in a bid to boost such vehicles in the country, brokers said. After a sharp fall of some 880 points over the last few sessions on depreciating rupee and surging crude oil prices, the Sensex has been on the mend in the past two sessions. After a higher opening, the BSE Sensex hit a high of 38,421.56 as buying activity intensified towards the fag-end, before closing at 38,389.82, up 147.01 points, or 0.38 per cent. Intra-day, it entered into the negative zone to hit a low of 38,067.22. It had gained almost 225 points in the previous session largely on value-buying by participants in recently battered bluechips. The 50-share Nifty went past the 11,600-mark to hit a high of 11,603 before finally ending 52.20 points, or 0.45 per cent higher at 11,589.10. It touched a low of 11,484.40. Meanwhile, domestic institutional investors (DIIs) continued their buying activity on the bourses. They bought shares worth a net Rs 611.98 crore, while foreign portfolio investors (FPIs) sold shares worth Rs 455 crore on Thursday, provisional data showed.